Tim Tobin of Swallow Hill Farm in Caroline County began a grazing demonstration in partnership with the Virginia Forage and Grassland Council over a year ago. 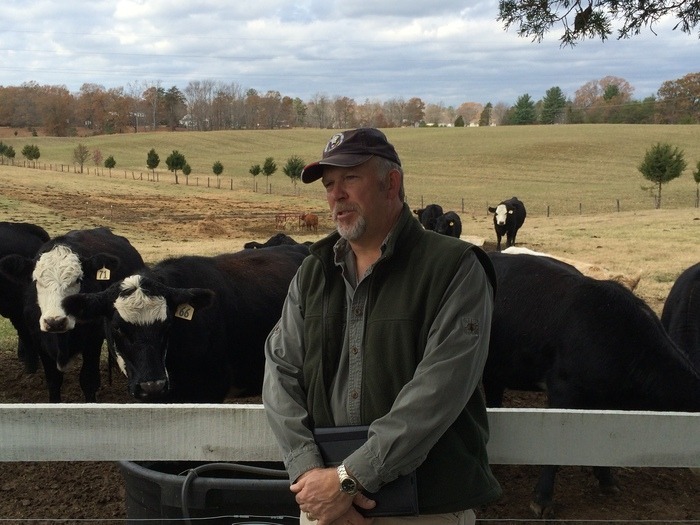 Jim Tate, Conservationist with the Hanover Caroline Soil and Water Conservation District introduced Tim to the VFGC and organized a farm visit in November 2014. At that time Tim met with Patty Johnson, Chris Teutsch, J.B. Daniel and Jim Tate to discuss his farm goals. After a brief tour and discussion he it was clear Tim would be a good cooperator for this demonstration. Tim grew up on a farm where he developed a love of livestock and farm life, but after college, he spent the next few decades working in hospital administration. His love of agriculture resulted in he and his wife retiring to a farm in the Woodford community of Caroline County where he farms and markets their livestock product full time. His professional skills including planning, communication and interacting with people serve him well as he developed a grass fed and finished beef, poultry and egg business. His love of the outdoors and a disciplined work ethic has given him the balance and the drive to develop a productive forage and livestock system, while building soil health and protecting water quality at the same time. 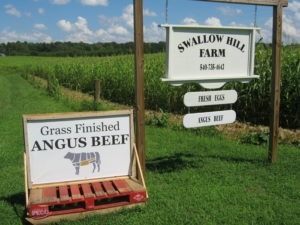 Tim produces and markets grass finished beef, poultry and eggs to the local community. 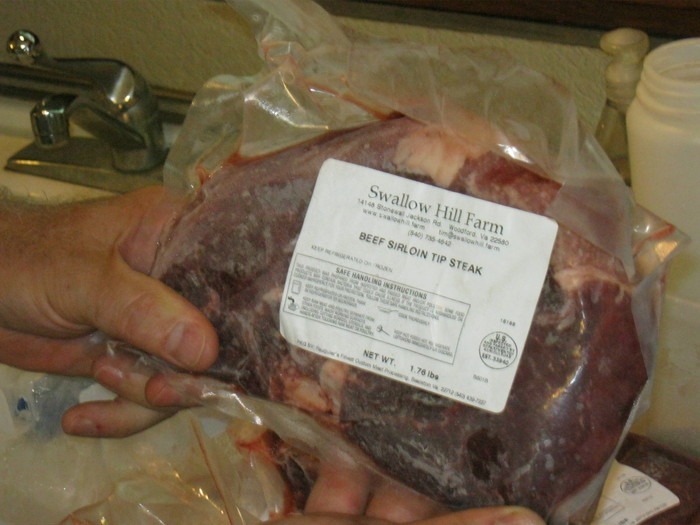 Upon returning to farm life, Tim was focused and ready to learn how to turn his vision into a productive, profitable and environmentally conscious livestock enterprise. He quickly found educational opportunities at the local level through the Soil and Water Conservation District and Virginia Cooperative Extension. Soon he was attending pasture walks, stockpiling demos and a grazing school to learn and apply prescribed grazing management in a way that complimented his specific farm goals. Tim qualified for cost share through the Soil and Water Conservation District that helped exclude his livestock from 2 ponds and a stream that runs through the middle of his farm. He expanded this infrastructure to install a fresh, pressurized water system along with cross fencing and the ability to use temporary electric fencing for intensive grazing management throughout the grazing season. 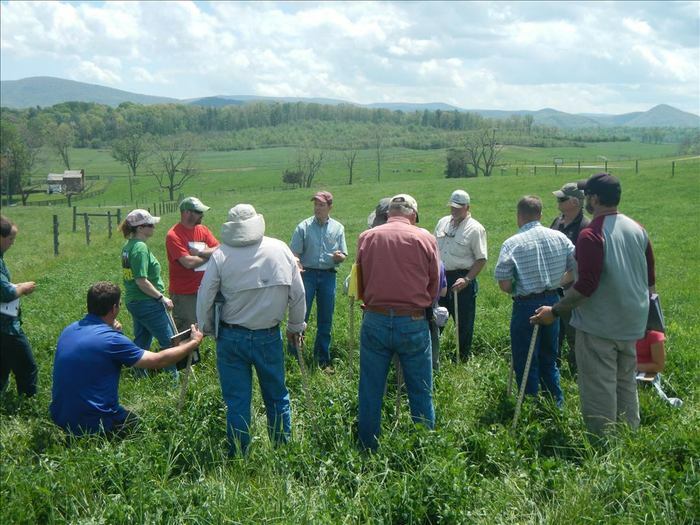 He sought and received technical assistance from Extension, NRCS and the SWCD to develop this grazing system and plan the annual and perennial forages to meet the needs of the livestock produced in his system. 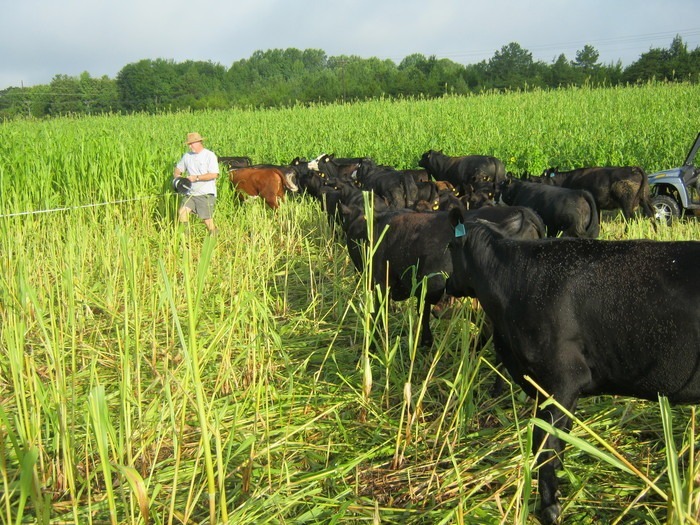 His prescribed grazing system is developing well as he is putting his skills to use managing some acres with annual forages with a plan to renovate his perennial pastures in sequence as he transitions into a vigorous and productive perennial forage mix. Tim rotates his cattle daily when summer annuals are in full production. Follow the link to Tim’s Farm Demonstration Background Sheet and watch for more posts to this and other grazing demonstrations on the VFGC webpage!